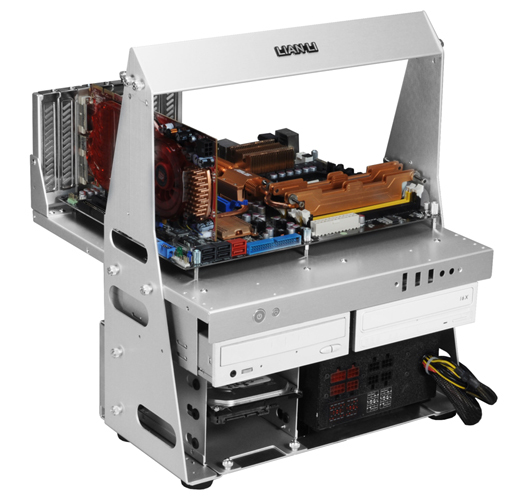 PC-T60B Test Bench mounts standard ATX & Micro-ATX motherboads, 5.25" optical drives, 3.5" / 2.5" Hard Drive, and Standard ATX PS2 power supply. 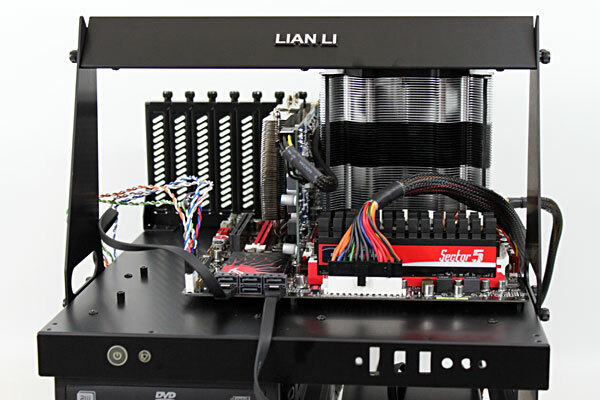 PC-T60B The open design makes it easy to switch components, Mod, and service. 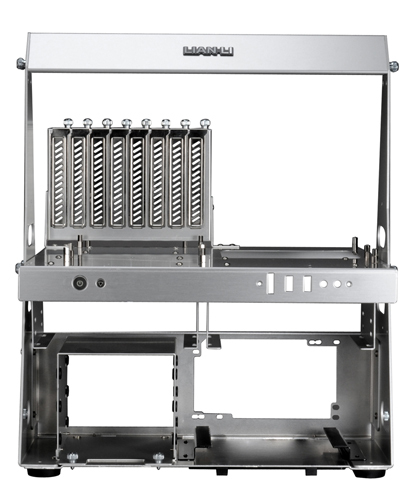 5.25" Drive Bays -Two, standard 5.25 optical drives mount directly above the power supply. 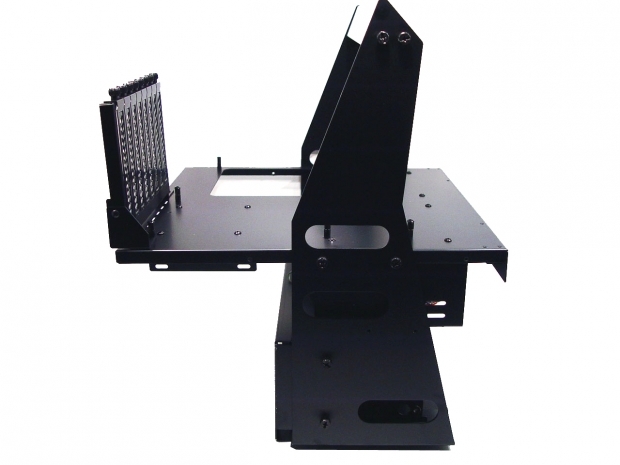 Removable HDD Cage - Three 3.5" HDD mount, using thumb-screws with rubber-suspension to prevent vibration. 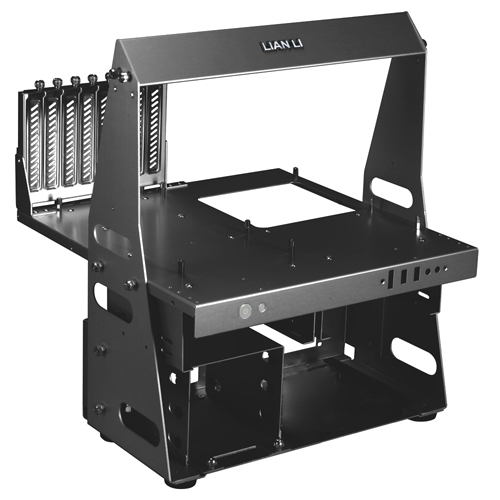 Supports 2.5" HDDs - Aluminum mounts for two 2.5" HDDS, directly below the motherboard tray, allow user to easily install and remove. 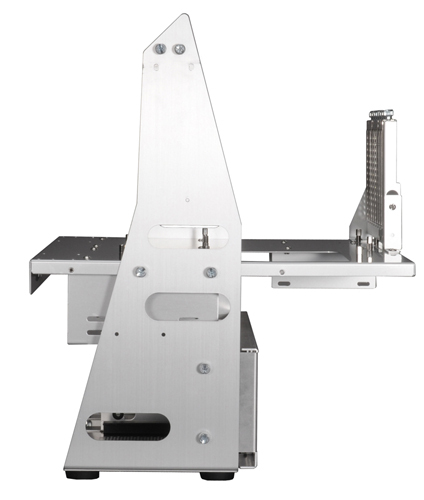 Trestle for PCI Card Stability - A trestle not only easily set-up with thumb-screws, but also strengthen the back-end with additional stability.